Counterfeiting is a serious crime under federal law that can lead to harsh jail sentences and a tarnished criminal record. Many people do not realize how counterfeiting is often more serious than a forgery charge. The two crimes are similar, but counterfeiting is the reproduction of money, documents, and goods, whereas forgery involves the manipulation of a document, or conduct where one individual is signing the name of another person on an official document, such as a bank loan application. Because a counterfeiting conviction can be detrimental to one’s way of life, it is essential to seek skilled legal counsel right away after being charged with the crime. David L. Freidberg is a seasoned Chicago Counterfeiting Defense Attorney with the experience and diligence to provide you with the best legal representation possible. In Illinois, under the deception and fraud statute, 720 ILCS 5/17-0.5, counterfeit is defined as the “manufacture, production, or creation by any means, of a credit card or debit card without the purported issuer’s consent or authorization.” While this definition only mentions credit cards and debit cards under the deception and fraud statute, the crime of counterfeiting can also include the manufacture, production, or creation by any means of currency, and counterfeiting is a federal crime given that the conduct usually occurs across state lines and becomes a part of interstate commerce. Further, the act of manipulating United States currency considerably increases the severity of the counterfeiting charge. Other financial documents, such as promissory notes. 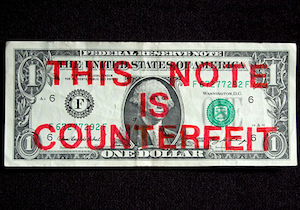 The federal government takes counterfeiting very seriously because counterfeit money or goods come in all shapes and forms and can have an impact if the counterfeit money or goods become a part of the United States economy. Further, counterfeiting has become more prevalent as we have become a more technological world over the last couple hundred years. 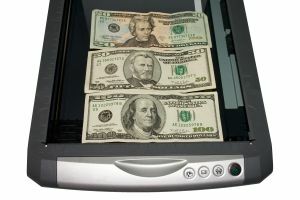 Changes in technology allow for additional ways to counterfeit money, goods and documents. Therefore, if you or someone you know is charged with counterfeiting, you will need the help of a seasoned Chicago-based Criminal Defense Attorney who can prepare you for what to expect, and help you build a strong defense to the crime you have been charged with. Failing to grant your request to speak with an attorney after you have been arrested. Most police officers take the proper procedural steps to avoid a violation of your constitutional rights, however, whether intentional or not, other police officers make mistakes that may ultimately lead to the dismissal of a criminal charge. Attorney Freidberg may also seek dismissal of your claim if there is simply a lack of evidence for a jury to find beyond a reasonable doubt that you committed the crime of counterfeiting. You were set up by another person or persons. If you are not able to raise defenses to your counterfeiting charge, we will seek a reasonable resolution that will minimize the severity of potential penalties. For example, if you plead to a lesser charge, then you may be able to avoid jail time and/or significant fines. However, because the United States takes counterfeiting very seriously, it is important to be aware that it is sometimes difficult to avoid jail time depending on the individual facts of the case and the severity of the counterfeiting conduct. Regardless of how minor or serious your counterfeiting charge may be, it is imperative to have a diligent and highly skilled Chicago Criminal Defense Attorney who will use all possible resources to provide you with excellent legal representation. Being charged with counterfeiting can give rise federal jail time and the imposition of costly fines. If you or someone you know has been charged with counterfeiting or any other fraud-related crime, it is essential that you seek the advice of a Chicago Criminal Defense Attorney highly familiar with fraud-related crimes and how to provide all clients with the legal representation that they deserve. Counterfeit charges should be taken very seriously as the federal government has been cracking down on fraudulent conduct. As such, the sooner you are able to retain a strong advocate, the sooner you can face your counterfeiting charge and seek the best outcome possible for your particular situation. Attorney David L. Freidberg has more than 20 years of experiencing defending the accused and protecting their constitutional rights. We are available 24/7 to discuss your situation, and can provide the guidance you need during a frightening and stressful time. To schedule a free confidential consultation, contact us today by calling (312) 560-7100, or you may contact us via email and we will respond to your inquiry as soon as possible.